Guns N’ Roses have announced the first pair of opening acts that will join them on their summer stadium tour of North America. Alice In Chains will open the first five dates of the Not In This Lifetime tour, which starts June 23 in Detroit, MI. Lenny Kravitz will step in for two pairs of shows in Foxborough, MA and East Rutherford, NJ in mid-July, with artists for the remaining concerts to be announced. An updated tour schedule can be seen below. 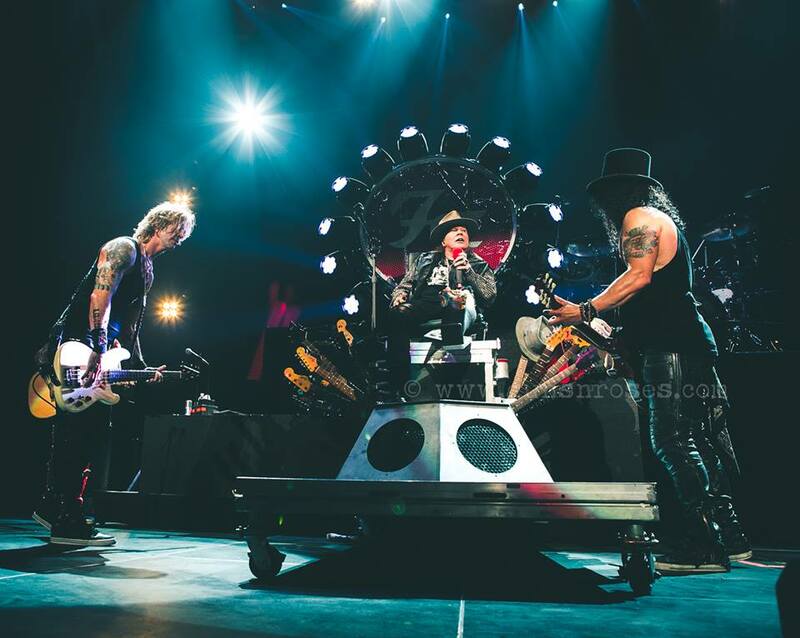 The trek will see the reunited trio of Axl Rose, Slash and Duff McKagan perform material from the band’s legendary albums, including 1987’s smash “Appetite For Destruction” – the biggest selling debut album of all time with more than 30 million copies sold worldwide. The GNR lineup is rounded out by guitarist Richard Fortus, keyboardist Dizzy Reed and drummer Frank Ferrer alongside new addition, keyboardist Melissa Reese. Guns N’ Roses previewed the stadium shows with seven spring concerts, which starting with a rare club gig on April 1 at The Troubadour in Los Angeles, and two dates each in Las Vegas, Mexico City and at Coachella. Axl Rose is currently performing with AC/DC on their spring European tour at center stage in place of Brian Johnson, who stepped aside from live performances in March on the advice of doctors in order to prevent further damage to his hearing. Rose made his debut in Lisbon, Portugal on May 7, followed by shows in Seville, Spain on May 10, Marseille, France on May 13 and Werchter, Belgium on May 16.